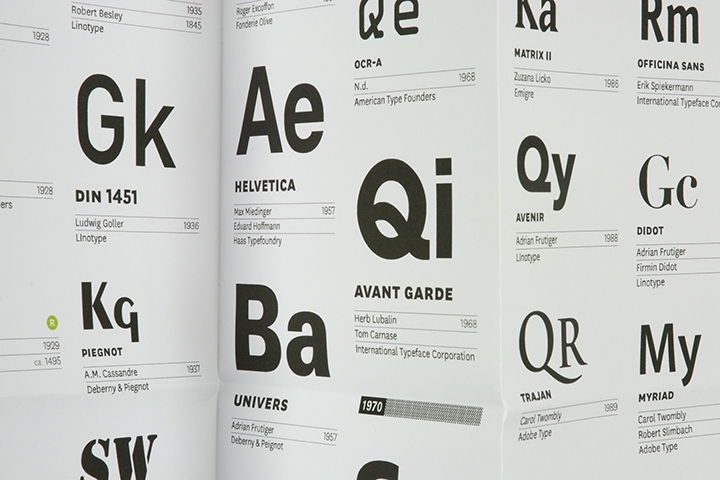 I focused on the evolution of typography over the 20th century. 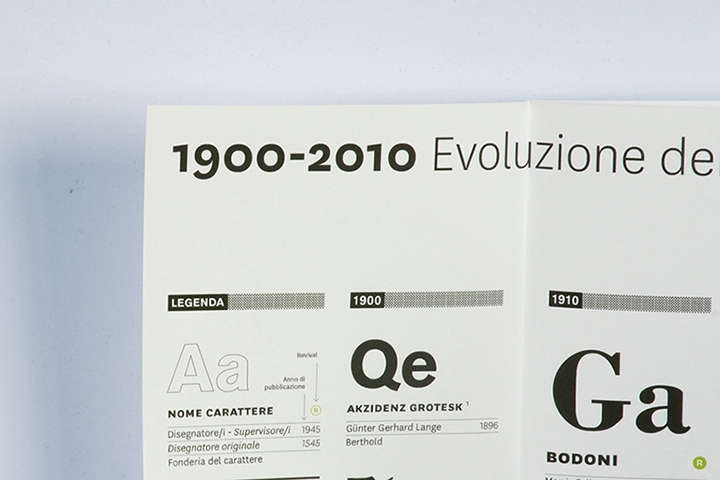 Typefaces are used in every modern communication and their history allow us to take a careful look about some historical changes from a fresh perspective. 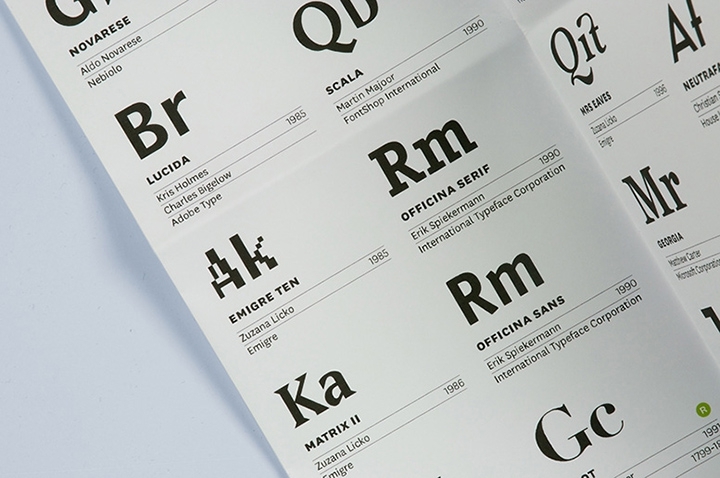 For example, you can notice how the widespread appearance of specific letterforms in the ‘90s has been possible by computer software from the ‘80s. I decided to distribute this knowledge through a foldable poster in order to make an economic, handy and easily reproducible product. 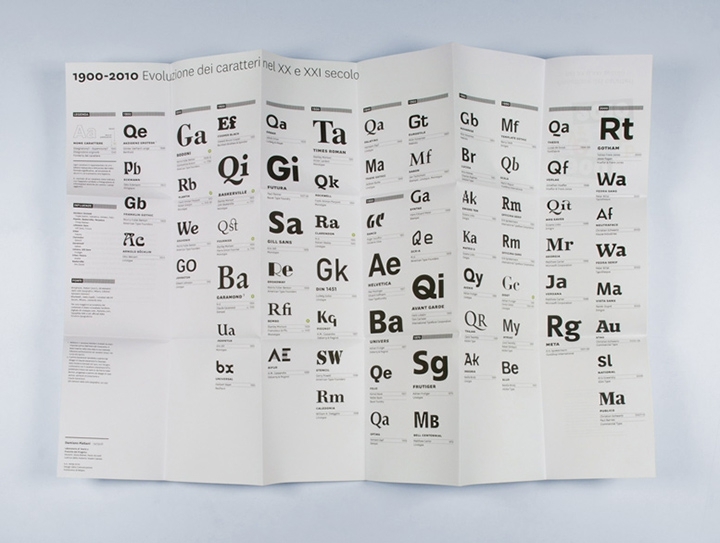 Basic historical information such as typeface’s designer, type foundry and publication year is present in the poster.